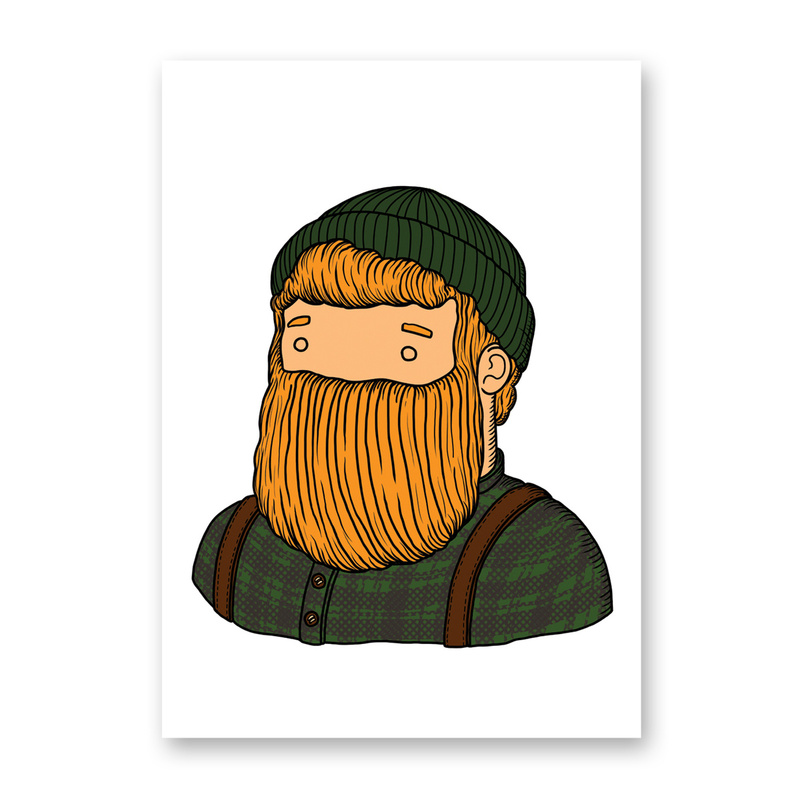 Extremely colourful and original, the The Lumberjack print is perfect for the walls of any home. 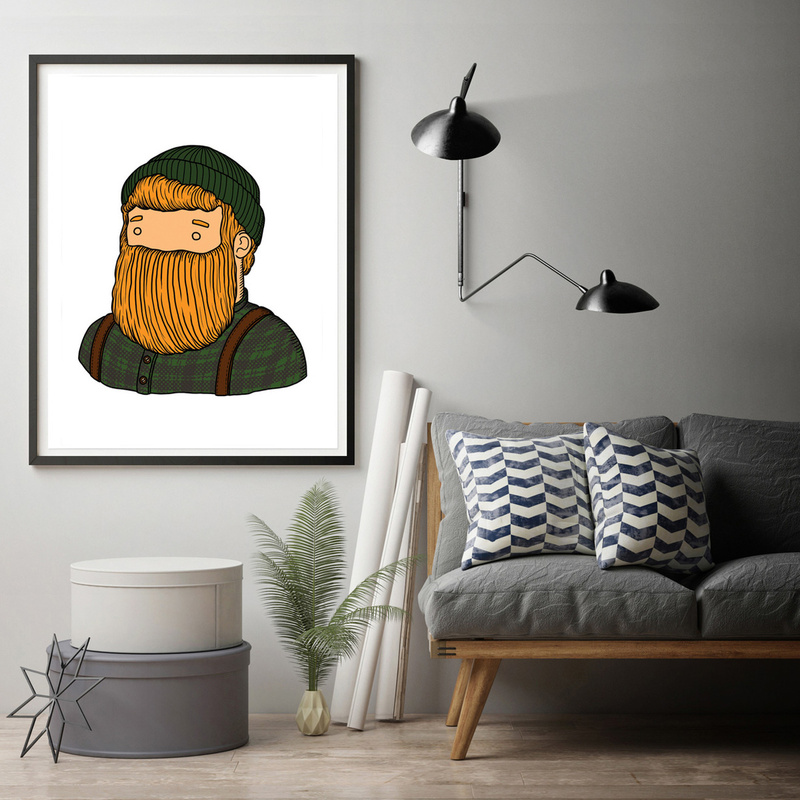 With a ginger beard, a green cap, and a happy pink face, the protagonist of this print is a cute and interesting character. 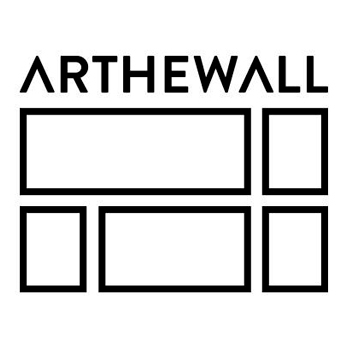 This is a drawing made by Naki, an Italian designer who created this particular subject for Arthewall. The The Lumberjack print is characterized by well-defined colours and details thanks to the use of a professional printer and the choice of high quality paper such as 270g Fuji Paper Satin. The frame is not included so as to allow you to choose the one that best suits your environment; this print is often placed in the living room, especially if furnished in a naïf or modern style. However, it can also be used to decorate the walls of an office, especially in case of one furnished in a traditional wood colour where the colours and drawing chosen by the artist will stand out even more. But why stop at one? If you like Naki's style, you can think of matching several of Arthewall’s proposals and dedicate a corner to the artist.